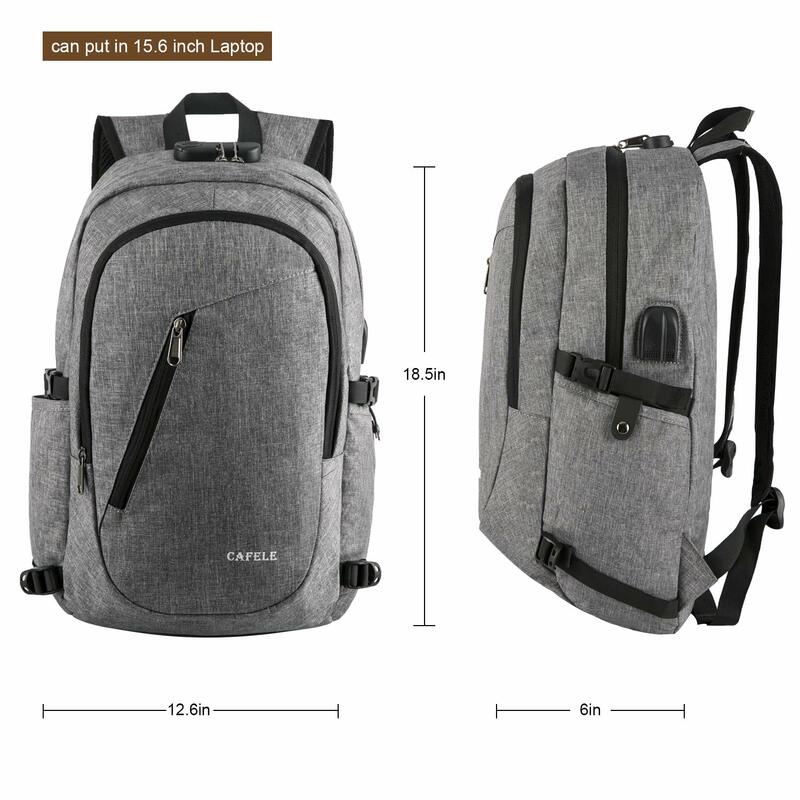 BUSSINESS & FASHIONAL style DAYPACK:18.5 x 12.6x6 inch with dedicated Laptop compartment holds Laptops less than 17 Inch as well as 15.6 inch, 15 Inch,14 Inch and 13 Inch Notebook. 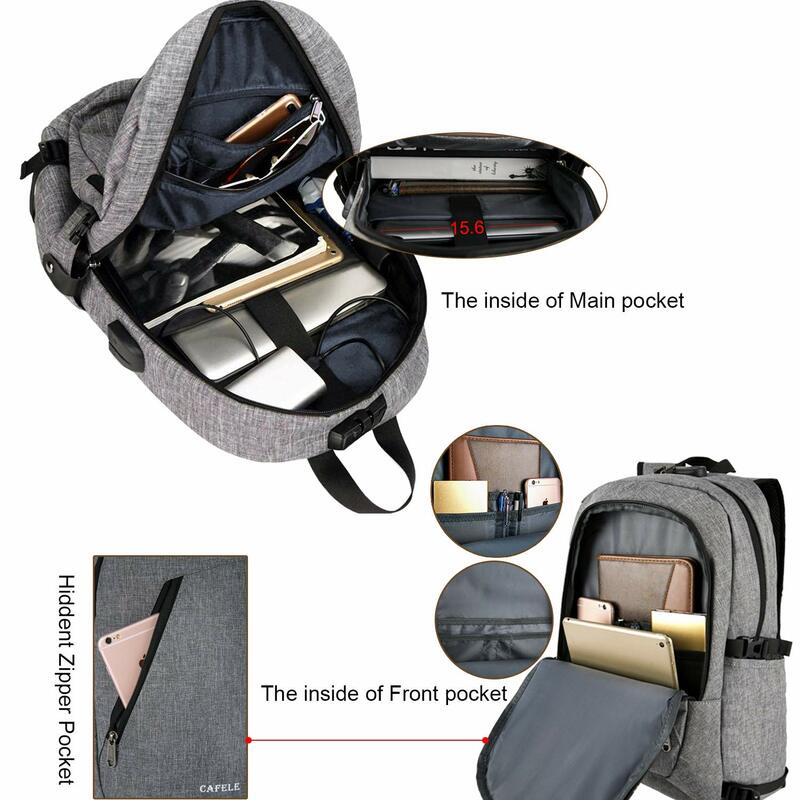 MULTI-COMPARTMENT & CLASSIFIED: 3 MAIN pockets & 9 INNER small pockets & 2 SEALED SIDE pockets,provides a separated space for your Laptop, iPhone, iPad, pen, keys, wallet, books, clothes,bottle and more. 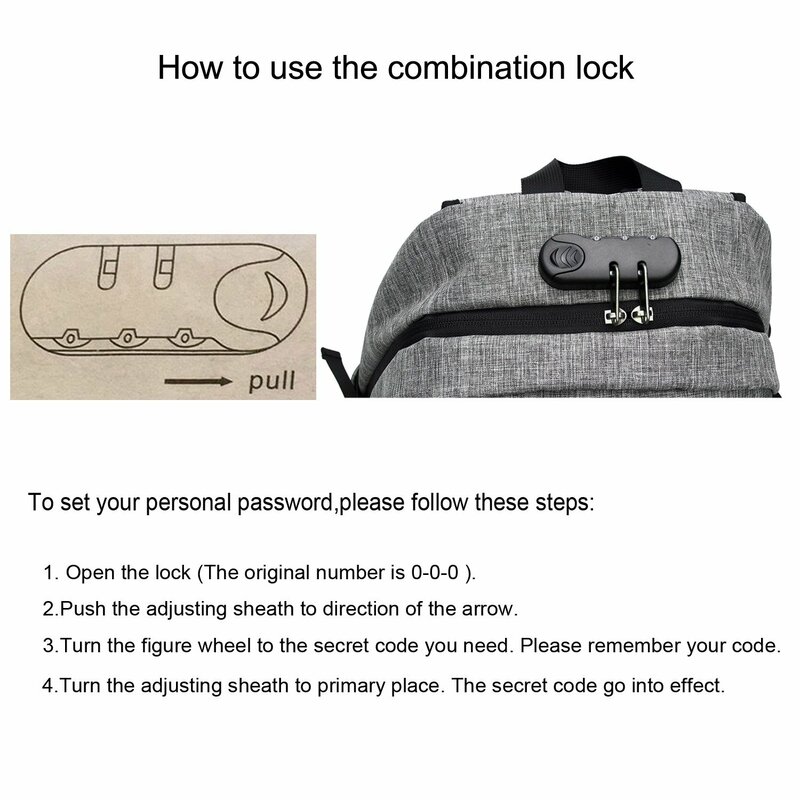 Easy find what you want. 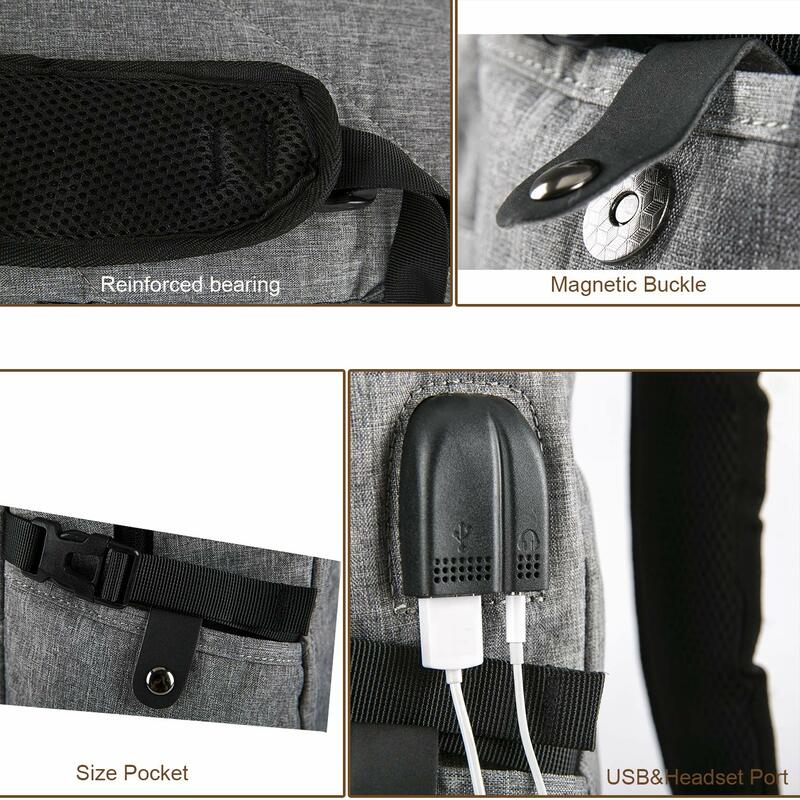 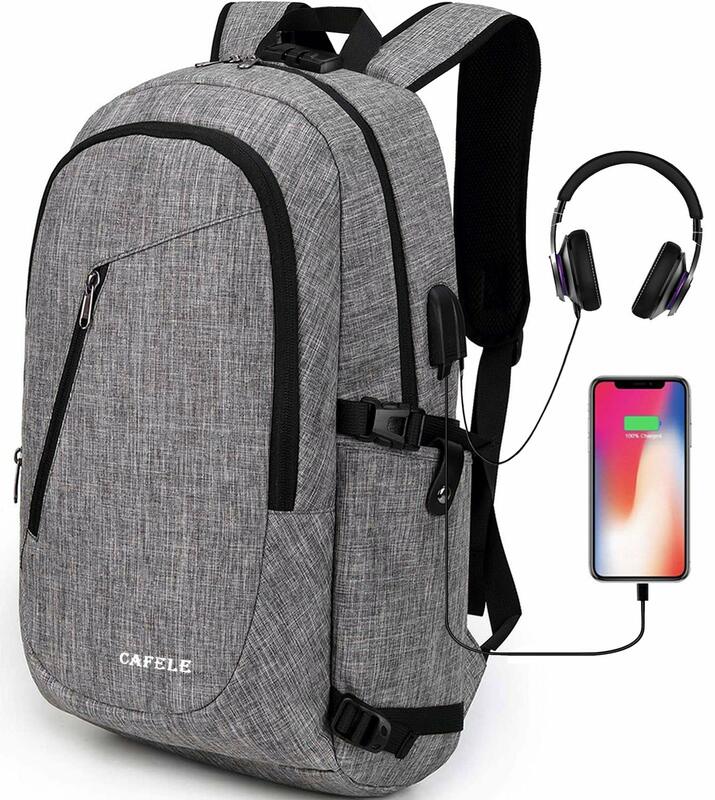 USB CHARGING PORT & HEADSET INTERFACE: The backpack external USB port with built-in charging cable, offers a convenient charging for your electronic devices, easily keep your smartphone full power anytime and anywhere. 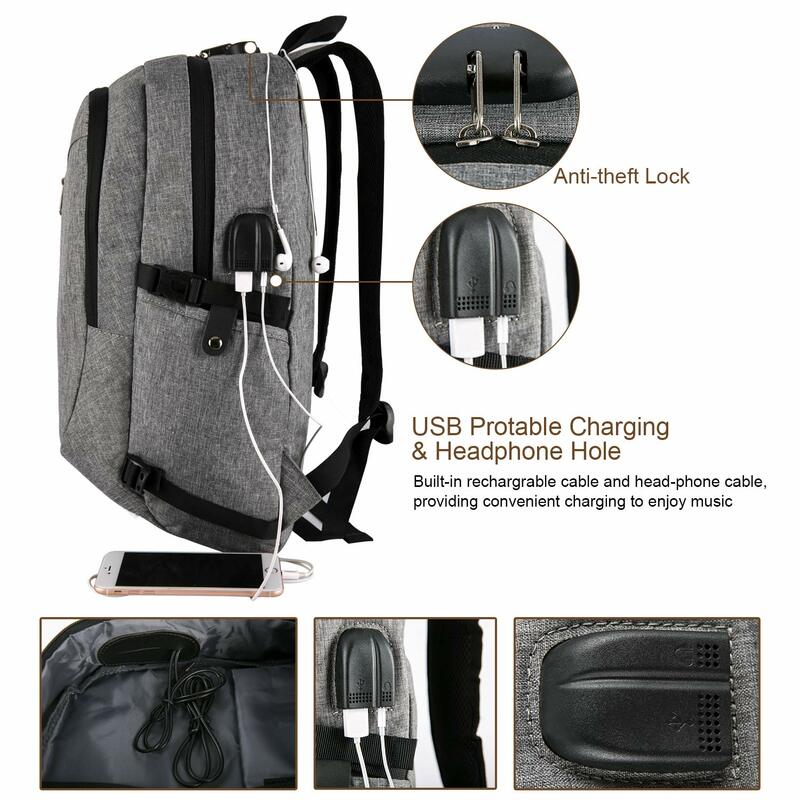 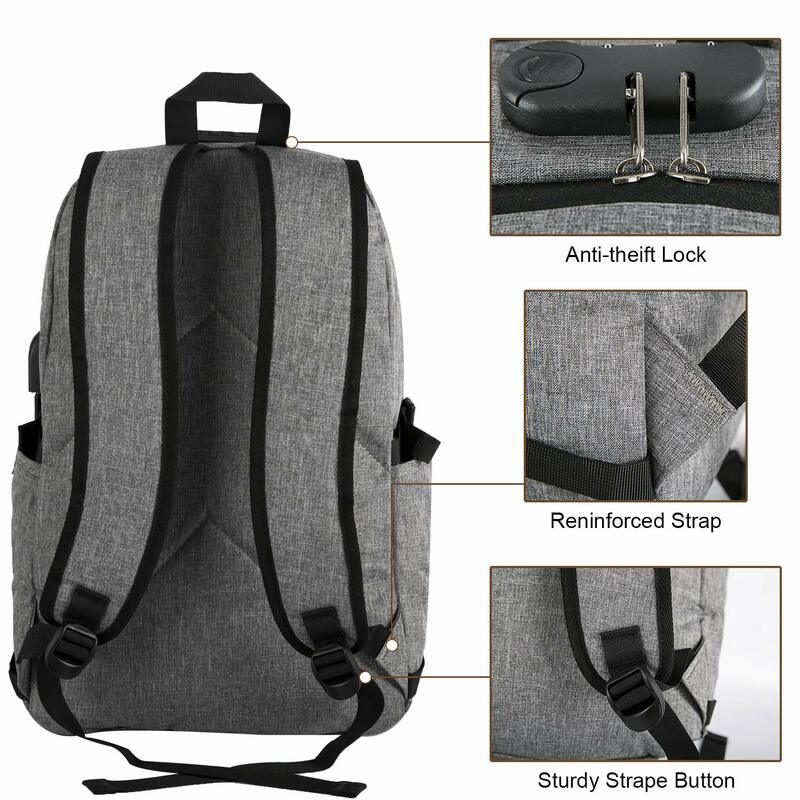 Please noted that this backpack doesn't power itself, usb charging port only offers an easy access to charge.